Log in to the Web Portal as a user who belongs to the ScriptDelegatorAdmin AD Security Group. From the Web Portal navigate to “Manage” -> “Scripts”. 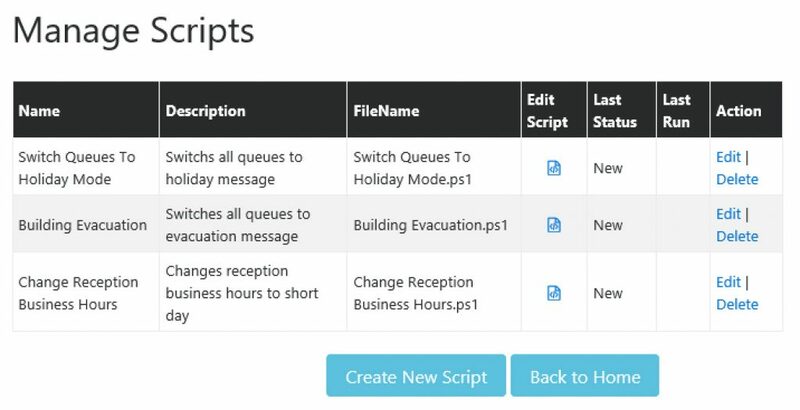 From here you can create, edit or delete scripts. 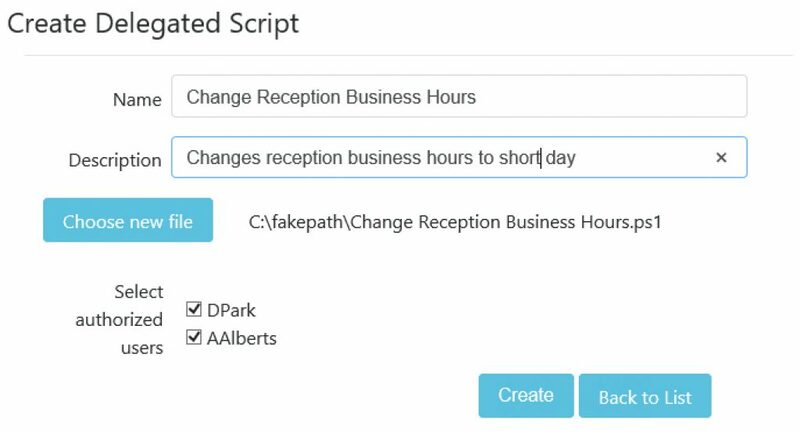 Enter the name and description of your script, select the script file to upload, then assign it users who should be able to run the script.